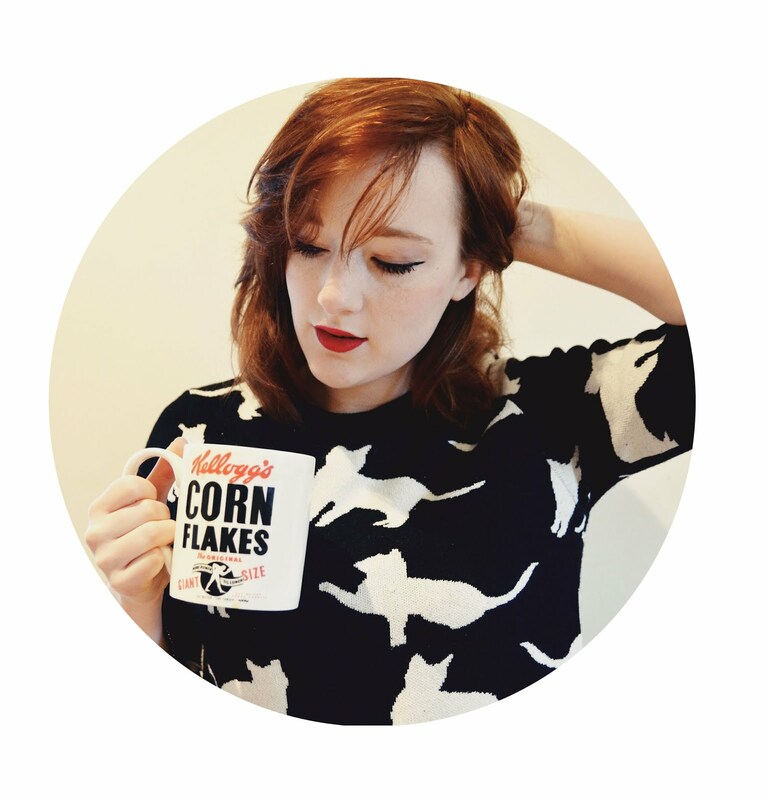 Today in ‘Cool Things I’ve Eaten Recently’! 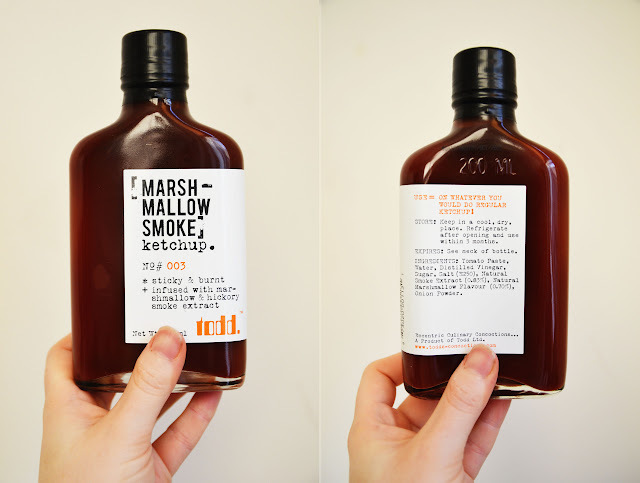 Marshmallow Smoke Ketchup, by Todd’s Concoctions. Look at these! Look at these! 'Ink Cayenne’ hot sauce! 'Tobacco-Moonshine’ BBQ! I wasn’t sure what to expect from this ketchup, but sure enough it has a big old kick of flavour; I tend to drench food in tomato sauce but this needs to be used sparingly. It’s smoky, kind of startling. But hella good with sweet potato fries. 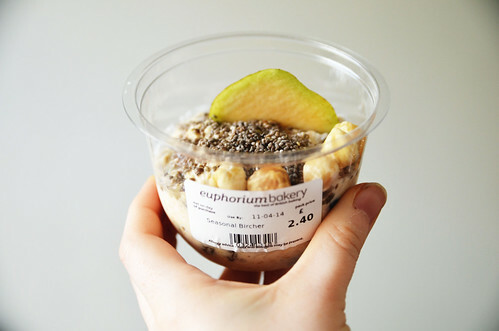 Bircher Muesli with grated pear, blueberries, hazelnut and a shot of chia seeds. I am now obsessed with turning this flavour combination into muffins. Or, you know, at least more muesli. 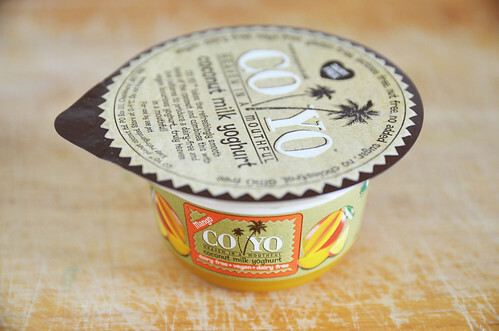 Co-yo coconut yoghurt with mango puree. I’m p sure I got this from Wholefoods last time I did an overexcited vegan-food post. BUT I AM SO OVEREXCITED. WHAT ELSE CAN I DO? This is like eating coconut cream, oh my god. I wanna put my whole face in it. 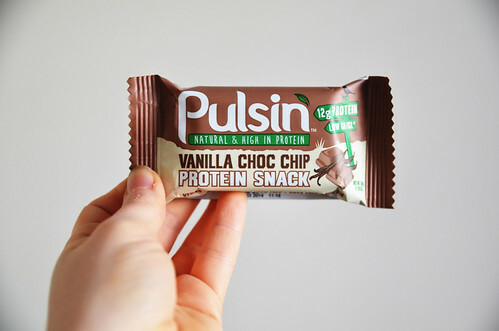 Pulsin’ Vanilla Choc Chip Protein Snack. It was too long ago; I don’t remember the nutritional values for this. But I remember they wereawesome and that this was like a cookie dough bar and that I am gonna hunt this little powerhouse out again for sure. 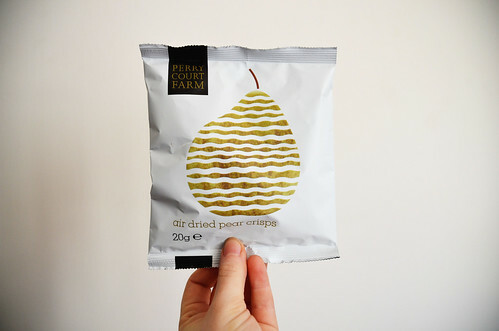 Air-dried Pear Chips from Perry Court Farm. Okay, I just thought the packaging design was really smart. I really like good design. And then, basically it was dried fruit, and I’m not against that, but I should probably have just bought a pear and eaten it. BUT THE PACKAGING.